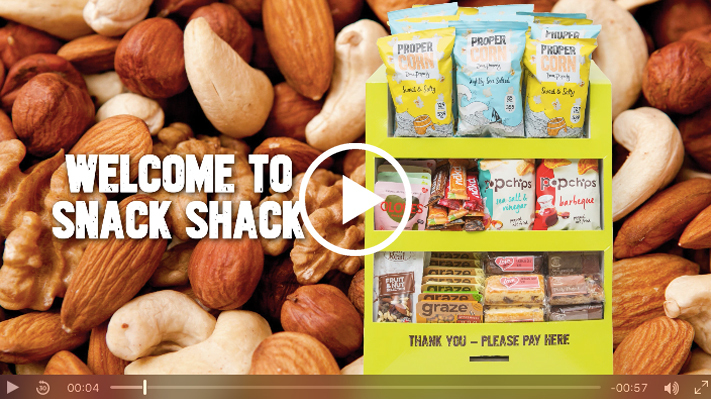 SNACK SHACK is the snacking solution that will transform your workplace. Nutritious snacks at everyone's fingertips to boost energy and productivity. Satisfy mid-morning hunger pangs and stop those afternoon energy slumps. 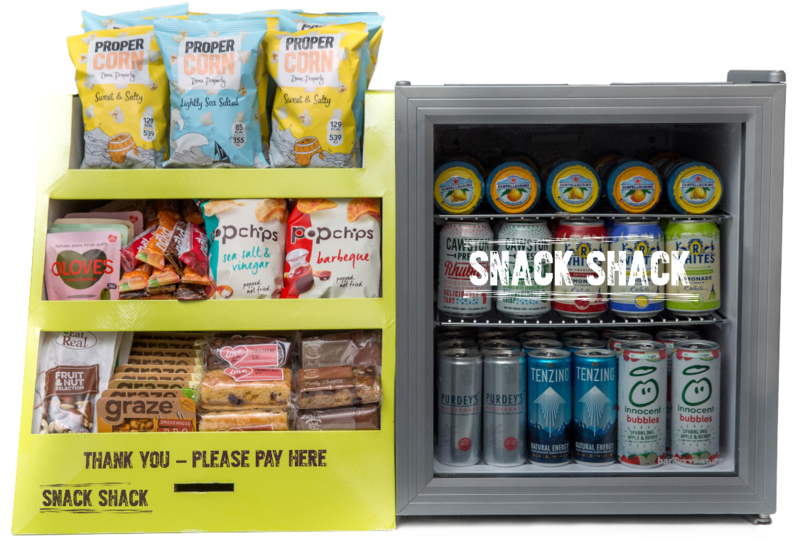 No need to leave your workplace or give in to unhealthy snacks from a vending machine. Items paid for by honesty slot (or invoiced to your company if preferred).